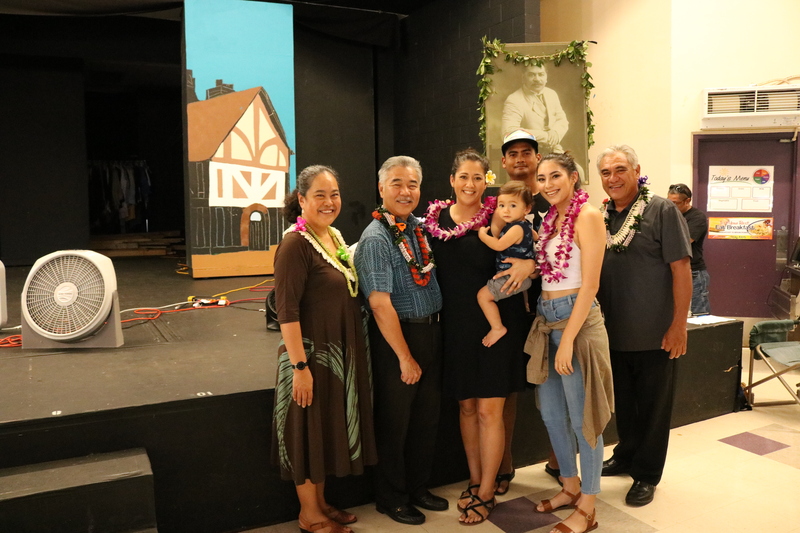 Kulana Hale partners from Highridge Costa with Rep. Sharon Har and Gov. Ige. 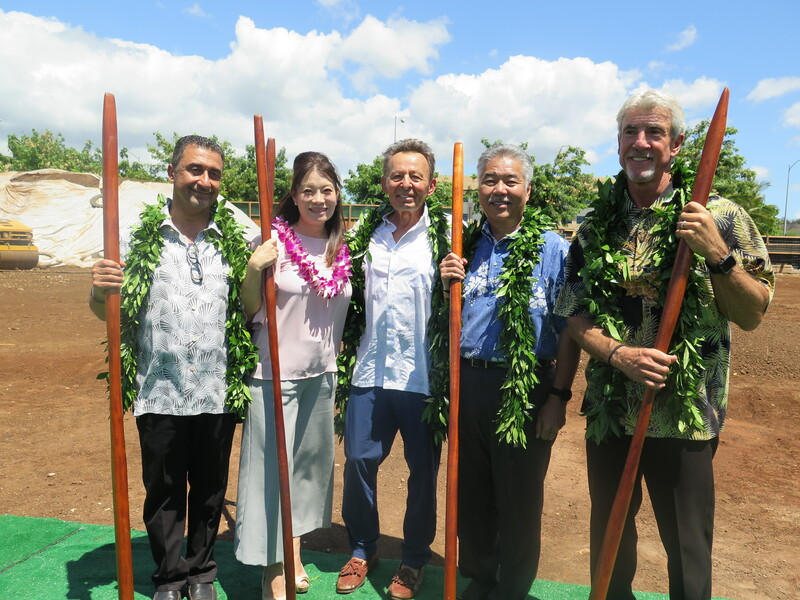 Affordable projects underway statewide –The Pacific Business News reported 16 of the 23 local housing projects underway statewide in 2018 were affordable rentals and for-sale units built with state-assisted financing. The Ige administration is on track to reach its goal of 10,000 housing units completed by 2020, with the majority of affordable rentals at 60 percent area median income (AMI) and below. Record amounts for the state’s Rental Housing Revolving Fund (RHRF) – Hawai‘i’s RHRF fund has been called “the best in the country” for the gap financing it provides so housing can be more affordable. The pace of affordable projects has increased under Governor Ige with new public-private partnership projects coming online and a streamlined Hawai‘i Housing Finance and Development Corporation process. 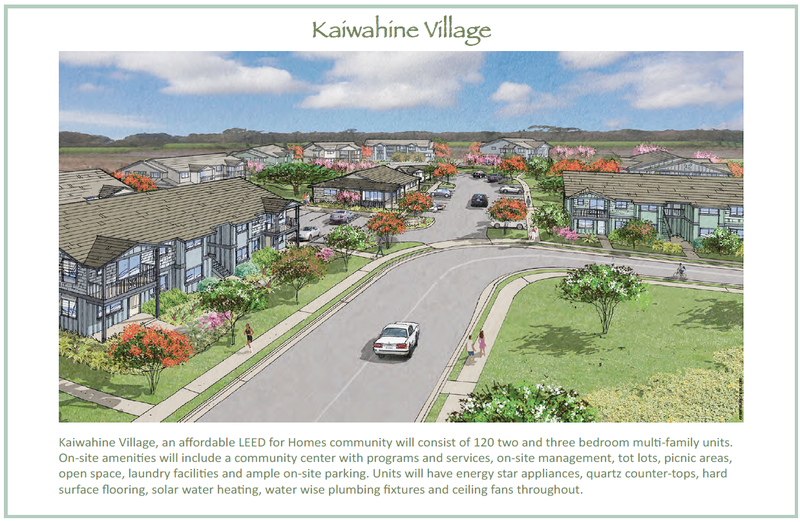 Kaiwahine Village on Maui will provide 120 two-and three-bedroom affordable rental units for families. “Smart Communities” on state land near transit hubs – The state has identified land for transit-oriented development (TOD) along the 20-mile O‘ahu rail corridor and Transit-Ready Development (TRD) on the neighbor islands and in rural areas. “TOD remains one our biggest game changers and allows us to build affordable homes, direct growth and reinvigorate older neighborhoods,” said the governor. 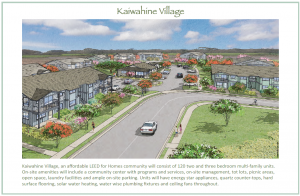 Among these is Mayor Wright Homes in Kalihi, which will be transformed into a mixed-use village of about 2,500 rentals — two-thirds of which will be public housing and affordable units. 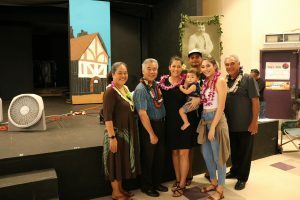 The Kalena-Dela Cruz family at a DHHL turn-key home selection in Kapolei with director Jobie Masagatani (left) and deputy director William Aila. More homestead lots for Native Hawaiian families – The Department of Hawaiian Home Lands prepared 414 lots available for awards on O‘ahu, Kaua‘i and Maui, with 51 percent of them awarded to beneficiaries as turnkey and vacant lots. More than 1,400 applicants also have attended homebuyer workshops.